Join Bethel Associate Ministers, Fred & Sonya Haley, on a life changing tour of Israel. This trip is uniquely designed to increase your love for the Lord and personal growth while investing in Israel. Experience the powerful love of God as we journey together through His Land. You will visit prophetic sites and hear testimonies of transformation from local leaders. The Bible will come alive as you live the Kingdom Culture while walking in the footsteps of Jesus. 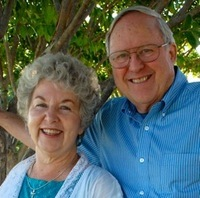 Fred & Sonya Haley serve as Bethel Israel Connection pastors since 2002. They are retired pastors who studied in Israel in 1986. After leading over 20 Bethel Israel trips they are seeing transformation in many areas of society. Fred and Sonya minister together to release the Kingdom of Heaven and Abba Father’s Love. They are passionate to see every believer step into their identity and destiny as a child of God, empowered by grace to reign in this life. This trip is designed as a 10-Day Kingdom Impartation Tour. This trip is open to everyone! Apply early to reserve your hotel room. Invite a friend or travel companion to join you in Israel for this life-changing trip. Single room is an additional $815. 1. Upon acceptance, immediately make your non-refundable deposit of $500 to hold your spot. A $200 late fee will apply to all applications after February 1, 2019. Due to Travelers coming from multiple nations, Flights are not included in your trip cost. We encourage you to find the best deals or use air miles. If you need assistance in booking your flight or have questions, contact Sherry Moore: sherry@yoshertours.com, 703-627-7992. To maximize your tour experience, book your flight to Tel Aviv to arrive by early afternoon March 24, 2019, and depart after 10 pm the evening of April 2, 2019, unless you are joining the Jordan Trip. Then your return would be after 10 pm on evening of April 5, 2019. Arrive Sunday at Ben Gurion International Airport in Tel Aviv and be met by our representative who will help you transfer to the Scottish Guesthouse, Jerusalem. The above schedule is subject to Holy Spirit changes as we travel. It is going to be Amazing! Praying Onsite with Insight to bring in the Restoration prophesied in Jer 31, Joel 2 & Acts 2. Get ready to encounter the Lord and fall in love with God’s people, Israel. Partner with Heaven for the Outpouring of the Holy Spirit all over the Mid East. Plan to come home with a new vision of the Kingdom of Heaven on earth and to see God’s Heart for you and for Israel. Leave Tiberius for Sheik Hussein Crossing – Jordan travelers leave bus for Jordan. Israel only Travelers remain with our Guide on bus for a tour of the coastal sites ending the day at Ben Gurion Airport for departure for home. Jordan Extension travelers cross the Border to Jordan. This Itinerary is Tentative and may be altered if conditions warrant.